3 vendors have this plant for sale.34 members have or want this plant for trade. Here, on the Gulf Coast of Florida, Jatropha's are common. I do believe due to the Sun being lower in Winter, the leaves do turn yellow and drop, however the fresh green tips begin to grow well in Spring, when the Earth begins it's tilt to have longer and higher Sunshine. I sowed one seed on 10-31-2017. It came up on 11-10-2017. This is in the Los Angeles, California area. The seeds are about 50% to 60% viable. I am so excited to tell you since you didn't know that when you have this plant at home it is like you have a great external wound healer. Yes, I know this plant is poisonous but I have my stories to convince you that it is ok to use externally. I recently visited Thailand, my home country. I was just admiring this arty weird looking plant. I imagined it in a tray-like bonsai pottery; it would look so nice. My aunt was so excited to tell her stories about this plant. One was when she was working in a neighbor country, Laos. She got introduced to use it to heal her abscess. Another story was about a guy got cut by an ax on his leg when doing some work around our house. He cut the shrub to heal his serious wound and the guy was showing his wound in that evening and it l... read moreooked amazing to her. One day I was digging something around a cement pole that has some pieces of metal sticking out. The sun was bright and hot and I was accidentally cut myself on a piece of metal. My finger kept bleeding. I thought of this plant and wanted to try. As soon as I applied the sap from the leaf stem I broke it from the plant, I saw the blood turned flaky mixing with the sap and the wound stop bleeding. I went back to work with the dirt feeling a little pain from the cut. A few days after the wound healed without any infection. My mom complaint that she felt itchy and tingling sensation on her lip--the sign of developing a cold sore. I was curious if this plant would do any good for her, and so she was. I broke off another leaf from the poor plant to apply the sap on her cold sore knowing that if it didn't work she would probably have the blisters in the next day. I used to have it a long time ago but I know what it feels like and what comes next. Usually, without any medicine, it would develop a little cluster of blisters and heal in 2 weeks. With Abreva, a very expensive over counter medicine (2 grams for over 20 bucks), it could shorten the whole process to a week-ish. In my mom case using buddha belly plant sap, she said she felt the tightness on it as soon as we applied. In the next day, we noticed the reddish area didn't turn into blisters, besides it turned brown. Another story with my 93 y/o grandfather, but to make the story short, he failed and tore his thin skin for quite a big wound and we used the plant on it. It amazingly healed fast with no infection. Today I searched and found someone actually sells this plant in my local area. I went and got it. Yeh! I am not a doctor and I know this plant is poisonous. I believe every external-use-only modern medicine is poisonous too. For me, this plant is super amazing for healing an external wound and so beautiful. I will have this plant as my home decorating item and when I have a cut or when my cold sore come back, this plant will help me. I am happy to share this to you, especially who already owns it. 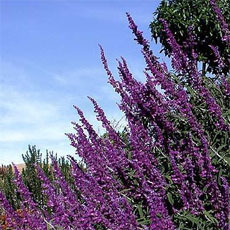 But as I looked on the internet in English, I didn't see a singer one talking about this plant for medicinal purposes. Good day, I just would like to ask, the Buddha Belly Plant is a some kind of Ginseng? and ginseng as I have known ( correct me if im wrong) that has many cure by drinking it in the form of tea. So my question is, Is this Buddha Belly Plant is POISONOUS? I have lots of these in my backyard garden and some were grown many years already. How could I upload some pics. This plant is great and easy to grow, almost a weed. I've grown all the ones I have in pots; I think they may grow slightly differently in the ground (perhaps not getting quite as big a caudex and growing faster). Growing from seed: These are very easy to grow from seed. I’ve grown so many from seed, it’s almost overwhelming. I find it really hard to kill a seedling, so I have many, many 1 gallon plastic pots with these in them. As they grow, they start out as a thick stemmed seedling. Eventually, they form a slight bump at what might seem to be too high on the trunk. This gets fatter and fatter, but the plant keeps growing. Eventually, this process winds up with the plant looking more like one would expect from commonly seen photos, with the caudex near the bottom and leave... read mores at the top. Winter Care: In my location, it might freeze for 1-2 hours a night a few times a year. I’ve always had mine under some sort of canopy so that frost doesn’t fall on it. It loses almost all its leaves (just a few small ones remain right up at the top, waiting to jump out in the Spring), but the flower stalk remains and blooms in slow motion. I don’t know if it continues to grow uninterrupted in environments that remain above 50°F all year round, or if insists on being deciduous. Sun Exposure: I’d recommend almost full sun. If you have it under 90% light (perhaps under 6mil plastic sheeting canopy) that might be ideal. I have mine sitting under a large cedar tree that blocks direct mid-day sun, but allows morning & evening direct sun. It seems to prefer this to being under full sun all day as I had it previously. I believe the Tampa Bay area has more intense sunlight reaching the ground than other areas such as South Florida which has more humidity in the atmosphere and may filter the light a little more. Soil & Watering: I'd recommend very well drained soil, but daily watering when it’s hot outside and the plant is growing. Mine once got what looked like some fungus on the leaves when it rained heavily for 2 weeks straight, but this eventually went away. I did apply fungicide, but am not sure that’s what cured it. Branching: Mine is now about 4.5’ tall above soil in the pot. This Spring was the first time a branch started growing form the caudex and I just saw what looks like 2 more branches growing from the stem. So, I’d imagine they do branch, but only after 4-6 years old. It might branch more if you lop off the top, but I wasn’t brave enough to do that to mine. I'm hoping for a positive or encouraging response to my question. Last summer I planted 3 budda bellys from seed in 3 separate small pots. I live in Kansas (zone 5) and took the 6 inch stalks? to my basement grow lites in the early fall. My plants have not done anything since I brought them inside. They are 6" tall and 1/2 " wide. The top is a little wider. I don't know what to expect as I assumed the base of the plant would widen, not the top on a skinny stem. Any info on what to do will be appreciated. I grow these in central Florida, zone 8b, as a container plant. It has survived frosty temps, but I loose them to any freeze. Nice set of large showy leaves. The "bottle" is spiny, so be careful. Their unique flame orange blossom stem holds out small red flowers. And I have had seed pods form even in a container. Leaves fall in winter, so I just put it inside to protect it and take it back out in March. A friend gave me a plant about 8 years ago. Her Mother-In-Law gave her one and and no one knew the name of the plant until I found it on this site today. We are so excited to finally know the name. The original plant is now 30" tall to the top of the bulb, leaves and pods are another 18" tall. I have planted many seeds and have given plants to friends. I have the plants in pots which I put outside during the summer in full sunlight. As the temperature drops to 50 degrees, I bring it into my enclosed back porch for a few weeks and then into the house for the winter months. The leaves fall off and new growth comes back during the winter. When the weather warms and there is no chance of freezing, I put them on the back porch for a few weeks and then they go out on the back deck for th... read moree summer. It is very easy to grow. I have a Buddha's Belly that has been in the ground approximately 10 years. It is about 8" in diameter and about 14-16 " tall. It has had many seedlings that popped up in the bed and I have transplanted some when they developed nice knobby stems: about two years. I garden outside my apartment in Ocean Beach (San Diego) and the "soil" is truly sand with hardly any humus. Except for a mysterious mini-critter that attacks at night (snail?) it has been bug free. Giant whitefly seems to prefer the plumerias to the Jatropha. my bottleplant is around 7ft tall and about 6ft wide it has about 15 branchers.it lives under other biger trees filterd sun mostlly shade. has lush big leafs and many bunchers of small redish flowers .from these flower bunchers will come 1 to about [7-- is most iv had-- ] -green thumb size seed pods .were there is 1 to 3 seeds ,. now the fun part watch seed pod after a few weeks in the morning it will start dying by the afternoon the pod splits 3 ways with a "pop" sending each seed 2;3and 4 meters away. i pull of seed pods just before thay go brown ish and put in a jar 1 ather thing i do is pull of old flower stems there you go thanks. I have had this plant for about 5 years. I left for 15 months to live abroad and my renters cared for the plant. It is still alive but has had no leaves or blooms since I returned (about 8 months). Before I left it was a beautiful plant that behaved just as expected with lots of leaves except in winter and beautifuI blooms year-round. I would like to prune it in the hope that it might start some growth but have not found any helpful pruning info for jatropha podgrica. If anyone has any ideas about pruning or getting it to sprout leaves/blooms again, I would be most grateful. My buddha belly plant is about 16" tall. The top has completely stopped blooming. In fact, there is only 1 side that has 1 leaf now and a flower. I have owned the plant 3 years now. When I first got the plant it bloomed beautifully at the top but now it doesn't do much at all. I'm not sure what to do! Any ideas on how I can rejuvenate the plant to make it grow or bloom out of the top again? this is from the Philippine point of view. It grows well, and can be brought indoors, thus making a great ornament. 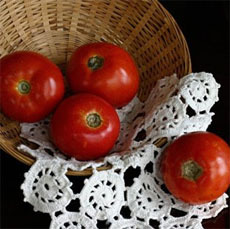 it is very easy to cultivate, and even a toddler could raise it (I started at the age of 12). Warning: To the Filipinos who are reading this, please be warned that this is what Filipinos commonly know as ginseng. It's poisonous. It can do more harm to you than good. Please don't consume. Good friend gave me this plant. This is my first year with it. So far it has been great. It did have a seed forming and se told me just to hang a plastic baggie over the pod. I did and when it exploded it exploded right into the bag. I have two seeds now. I suppose if the seed pod is straight up in the air instead of on the side I would get like a gause cloth and tie around it. My wife and I LOVE this unique plant. Our friends as well, so we are trying to capture seeds and raise some seedlings for other people to share it's wonderful characteristics... BUT I'm not sure what to look for in seeds. I notice in one of the pictures a green bud atop a stem which looks like a pod??? So far I have yet to see anything resembling this on our Buddha; is there anything I can do to gently coax some seeds from our little friend? I grew this plant from seed 3 years back, it continues to thrive and has begun to flower for me almost continually, i moved it from moorpark, ca to goleta, ca where quite surprisingly the nights have been quite cooler (lower 30's) i brought it in the first 3 nights, but after that it was survival of the fittest and it has done just fine. i occasionally get mealybug, but with a dab of rubbing oil or a spray of neem oil, the problem has cleared right up. i havent witnessed the bees and hummingbirds on it, but i am rarely home during the day. also, it has failed to provide any seeds once flowering, but i hope with coming maturity that it will provide some for me. As I received this from a good neighbor last year prior to her death, I didn't know how to care for it, nor what it was. This site and other websites helped me ID it. I'm glad I checked this site as it gave me info on how to care for it during the winter. I don't know if it has ever bloomed, but if it does, I'll post another photo. I was given this plant as a gift 16 years ago. It was a 2 year old plant at that time. I admit I don't treat it well sometimes. Occasional watering when it looks dry. Full afternoon sun on my back patio (Houston area). I bring it in when they say it is going to dip below freezing and leave it inside with maybe one watering till I put it back outside in Feb. My mother plant is in an 18" pot getting ready to put into a new 24". It is probably 5 feet tall now and I expect it to explode because it has been very root bound for probaly 3 years. The leaves when I put it in a new pot get as large as a dinner plate, sometimes larger. They get smaller when it gets root bound. That's how I know when it is time. Yes, in the winter it looses all leaves and just keeps the seed pods and flower... read mores. Several things of importance I have learned. The bigger the pot, the bigger it grows. Last year I managed to keep 18 babies alive in the tiny 4" pots from Walmart. 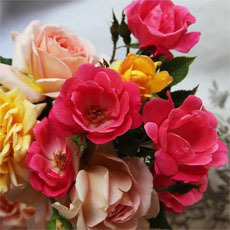 I gave some of them as gifts although at Chrismas they did not look so well (a stick in dirt, cool!!!). I had three that I decided to put into an 18" pot together and keep for myself. In one year in the 4" pot it only grew about 4" tall and was the width of a pencil. Transplanted it is about 2" around and 6" tall and this is only a month later. The leaves are already saucer size but the ones still in the 4" pot are dime sized. I don't water much at all. When they look really dry, I water. I have never fertalized. I never pruned, but I discovered something interesting around year 10. I accidentally "injured" the stalk when I snagged a piece of bark that had pealed back. A stalk grew. I took my fingernail and scraped another section, another stalk grew. It didn't work every time, but it did most. I now have 4 small stalks and the main one coming from the bulb and I have two coming from the main stalk. More leaves, more flowers and more seeds! I found the secret to seeds from someone else. They don't need much water once they start to grow. I get a ziplock bag, put some dirt in and a little water, put the seed right on top of the dirt and zip up the bag. When it starts to get it's first real set of leaves, I take it out of the bag and put it in a pot. Remember, the more room in the pot, the bigger the plant will get. Also, I discovered after 5 years of trying to grow babies that they are better dry than wet. They survive that with no problem, but too much water they turn to mush very fast. I have tons of seeds from these (7 stems make lots of seeds) and I would love to trade for other seeds or I would be willing to trade my babies for your babies. I love flowering bulbs and am dying to try a corkscrew vine if any one has some to share or any other very odd and unusual plants just like this. Let me know if I missed anything you ever wanted to know! PS. I was told the common name was a Gout Plant. I grew this plant from seed from an on-line seed supplier. The first attempt, nothing came from the seed and I wrote the company. They sent more seed at the proper planting time and I got germination and growth from four seeds. All four plants have survived to maturity and are still growing. I am in Zone 8b/9a with some winter freezes down to about 28 F on a few nights. I have my Jatropha podagricas outdoors planted in my garden. I am able to keep them alive during the cold months by a hefty covering of hay as winter mulch. 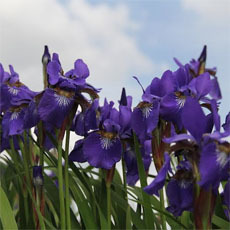 They have returned again this Spring and are currently flowering (April 2006). 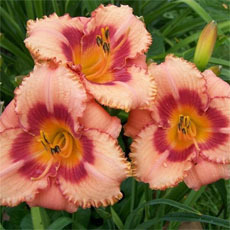 The flowers tend to appear before the leaves on my plants in my Zone. As commented above, the one plant that I have in partial shade seems to actually do... read more better than the three I have in full sun. None of the plants have grown much beyond about 12 inches in heighth after about three years of growth. I don't use any fertilizer on them. They all receive watering several times a week. They seem resistant to hot dry spells as well as occasional deluges from hurricanes and other tropical storms. I've not tried pollinating my plants to get seeds, but will work from your tips above and see if I can get seeds to set this year. This is a delightful, unusual plant and one that I would enjoy having increase in my garden! Update - 08/19/2007: My J. podagrica plants continue to do well. I think the hardiness zone ratings for this plant could be extended to include Zone 8b/9a as I do not cover my plants during frosts and freezes and they continue to survive. I occasionally now have seedlings of the plant popping up as self-seeded offspring within about six feet of the parent plant. Look for a thin greenish-gray stalk with a few rounded leaves that are about the size of a silver dollar. Our local county Agricultural Extension Office has a large, branching J. podagrica in the outdoor garden. The plant is reported to be about 10 years old and is now about 24 inches high. I was looking on the web because it's blooming now and I thought that might be odd. But after reading about it on this site I guess it's a happy Valentine to me. i planted from seed 2 years ago and have had wonderful results with this plant and have my first bloom this year. summer temps can reach in to the 120's here and winter nights dip into the 30's and it seems very adaptable. in the summer i protect it from the most intense afternoon sun and place it where it gets strong but dappled light. it gets a nice south facing spot to live out the winter. it's very good at telling me when it needs water, which is often in the summer and much less so in winter months. last winter all the leaves dropped off but i could see a small nub of green at the tip of the trunk so i just waited to see if it would return. sure enough it came back and has been a very fun addition to my desert garden. i've been self polinating the bloom hoping to ... read moreget more seeds from it. i'm adding a pic to the picture file. Yep! This one's quick to show unhappiness and disfavor with growing conditions, all right! I kept mine in full sun over the winter and it struggled and struggled to produce leaves. It grew a few tiny ones, which would shrivel up and fall off, usually. I finally realized that it was getting fried, so I moved it to partly shady all day and 2 months later it's blooming and the leaves are a profusion the size of dinner plates. When placed in the proper conditions, it grows leaves and flowers prolifically. I love it! 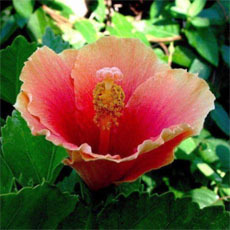 Do not leave this plant in "full sun" here in South Florida, especially in the summertime! I live in Tampa Florida 9B and bought this plant in April, 2005. I kept it in a pot where it was doing great but decided to plant it in the ground in my butterfly garden because so many butterfiles were attracted to it. Within a couple of weeks it just melted. I've never experienced anything like this. The top of the stem that had the leaves with flowers and seed pods were limp and bent over. When I touched the stem it felt very soft and mushy like old limp celery. The only thing I can think of is that it received too much water because it was watered everyday to help it get established in the ground during our dry month of May. I figured once the summer rains came I wouldn't have to water it anymore until December. I left the stump in the ground until last week hoping that new le... read moreaves would appear but I finally dug it up after feeling the stem and realizing that it still felt very soft. I bought another Jatropha yesterday and plan to keep it in a big pot. I'm based in the UK, near Manchester. Bought this from a site on the net (www.bakker.co.uk) in November 2004. The site no longer appears to sell them. It was delivered "dormant" - not a leaf in sight, just a 6 inch high stump with two short branches. It's on my office window sill - good light, almost constant temp 23C, I'm keeping the soil just moist with infrequent watering. It's alive! For the last two weeks, the two tiny buds which had lain dormant for so many months have started - ... read moreever so slowly - to grow. They are now small clusters of nodules 1mm across, which I take it are the start of leaves. The entire bud is about 4mm across. The number of times I have so nearly thown the stupid stump in the bin. I've learned a valuable lesson in patience! Thanks for the advice from everyone here! Awesome plant - and easy to care for. Mine is doing great outside in Houston, TX. I got my 1st seeds this week, I am going to attempt to capture and grow. Thanks for the tips. I live in Australia on the east coast. I bought this plant at a flea market with only one leaf on it and was told it was a Mexican bottle tree so I had a lot of trouble finding it on the internet til I found this site. (Thank you) It lost that one leaf, (winter here) but since spring began has two new leaves already. I do not water very often but it doesn't seem to mind. It sits on the table out on my back patio and is a talking point for any visitors as they have never seen one before and neither had I. It is not in full sun all day but does get afternoon sun for a few hours. This has to be one of my favorite plants. I've been collecting euphorbiaceae ever since I got this as a birthday gift and this one still takes the cake. It has tolerated all sorts of neglect - I've gone weeks without watering it and months without fertilizing, and it never seems phased. Mine came from a dealer in Portland, OR a little over a year ago; I kept it below a northern-facing, shady window through the summer with only a two-foot cheapo grow light on a 12 hour cycle to supplement. Slow growth but no problems - it flowered and went to seed with minimum help (a little Q-tip pollenation) on my part. Since then I've moved to Olympia, WA and had it in an even darker dorm room, away from the window (it did fine but certainly wasn't grateful) for the fall. I moved again at the begi... read morenning of winter; now it lives by western-facing window (still with the grow light) where it gets indirect sun until the afternoon, when the light is more direct but with partial shade. It seems to be growing better than ever in this setup. Occasionally I put it outside on sunny afternoons - I've seen immature leaves double in diameter (3cm to 6cm) in one summer afternoon this way. I give it cactus fertilizer (2-7-7) when I fertilize my other succulents, and when I see flowers coming on I give it a dose of some 10-60-10 at half or quarter strength; without it usually aborts the last half of its male flowers. I've had very satisfying results with this method - it's never gone dormant, although the growth does slow during the winter. I've yet to try pruning or taking cuttings. My attempts at propagation by seed all failed. Where should I top it to make it branch? Mine has an ugly scar where the nursury air-rooted it and I'd like to hide it behind some more branches. What kind of time frame should the seeds be sown in? To what depth? Should I sprout them and then plant? What are the juvenile water requirements? I let my only batch of seeds sit through winter because I'd read that some other euphorbs wouldn't sprout until they'd spent a season drying out, and not a single one sprouted when I planted them this spring. I've also gotten mixed messages about cuttings - some folks say the cuttings won't grow at all, others say rooting hormone and bottom heat. All of my gardening friends want to trade for one of their own. Any advice? of the seeds, followed by nausea, vomiting and diarrhoea. The vomitus and faeces may contain blood. In severe intoxications dehydration and haemorrhagic gastroenteritis can occur. There may be CNS and cardiovascular depression and collapse. Children are more susceptible. unable to swallow give fluids (milk or water) to dilute. Seek medical assistance. In hospital or a health care facility induce vomiting unless the patient has already vomited, or perform gastric lavage. Administer activated charcoal and a cathartic to hasten elimination, although in the presence of diarrhoea this is unecessary. EYE: Flush the eye with copious amounts of water for at least 15 minutes. If irritation persists seek medical assistance. All parts are considered toxic but in particular the seeds. (curcin) similar to ricin in Ricinis. I love this little plant. It's very exotic appearing and tough. Despite the best intentions, it can take all my bad doctoring. I bought it from a vendor at the Leu Garden Plant Show in Orlando last year for $10. He said it was called a 'Buddha Belly Plant' because keeping the foilage pruned would enlarge the trunk, much like a pony tail palm. He also said it would grow to 10 feet if I planted it in the yard and didn't trim it. The Plants Database says different, however. Last summer spider mites plagued my patio and the Belly was bitten badly. Insecticides did more harm than good so I whacked off all the foilage. They grew back in greater abundance. In September another attack, another whack but who cares, right? The Belly will just get bigger. Then November came-the leaves stopped growing... read more and what remained turned yellow and dropped. I felt sick and thought it was over for good. We moved and he came with us. March came but no new leaves. I was sure I had killed it, but then April came and leaves popped out everywhere. It's three feet high now and the leaves are gorgeous. No spiders this year but as a precaution I keep it very lightly dusted with an insecticide. Other bugs like chewing on its leaves so it's never without a little dust. But the funny thing is, Belly's trunk is not getting fatter. 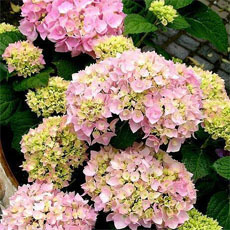 It likes to be moist in the summer but can take dryness. It grows faster with moist soil. The more I water, the more it grows. It loves fish emulsion. When I clean my aquarium, I give it the old water. Still, I'm waiting for that fat belly. Mine has done great in So Cal in a pot for years- needs bright light, heat and not too much water (though watering it frequently in hot summer doesn't seem to hurt it any- just grows faster). In winter, keep on patio under protection (or inside if temps below 32)- it alwasy loses it's leaves then and just looks like a weird naked greenish bottle. Probably if I had a bright, sunny place to take it indoors that would be better, but it seems to tolerate its periods of deciduousness OK. I rarely fertilize it, except with Miracle grow a few times a year. Well draining soil is a must (I had one outdoors in less than well draining soil planted in ground and struggled.. until it got hit by 28F then it just melted). I just bought a buddha belly plant for a friend's 50th birthday and would like to tell her how to care for it. I took a picture of her and the plant and wll ask her if I can display it on this site. It was love at first site. If anyone knows how to care for this plant in Portland, OR, please respond. very unique plant that always draws attention from visitors. I have propagated this plant from seed. I pick the pod before it dries or else the seed will shoot out many feet from the plant when the pod opens. I have been prunning it judiciously to keep the stems from getting so tall and leggy. 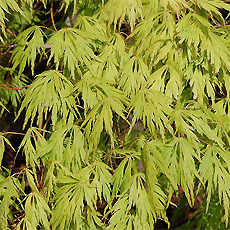 Keep it very dry in the winter and don't be alarmed when all the mature leaves drop off in the winter months. 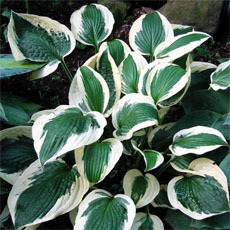 No insect or disease problems have been evident in over ten years experience with this plant. I grow this in a large pot in Polk County, Florida in zone 9a. I did bring it in when the temperature went down to 35 one night. Left it out at 38 and it wasn't bothered. From my experience, it appears they grow extremely well OUTDOORS rather than indoors. My plant seems to bloom all year long, although during the winter months, it will appear almost bear shedding its leaves where only stems, flowers, and seeds are visible. One of the weirdest looking plants i've ever bought. Interestingly the trunk has bark similar to Pachira aquatica. Paper thin and peeling. This plant looks very alien. This is a very, very attractive plant. The leaves are large, lobed, peltate and somewhat succulent. The flowers grow on long stems and are a brilliant red color, and stand out from the foliage, despite being relatively small. The trunk forms a nice ball shaped caudex, and has strange thorny looking knobs (harmless). I haven't had this one long enough to give a positive or negative comment on how it does indoors. But if you do find one, be sure to pick one up, they aren't commonly seen in cultivation. It has an atractive folliage, exoctic stem, and red flowers: female flowers come first, surrounded by male ones. The abundant nectar may atract ants and bees.